I’m not a person that optimizes every ounce but I also don’t fill the pack just because there’s space. I’m not the type to go on a hike for the entire day either. Five to six hours is fine but after that, I’m looking for a margarita! I’ve been looking for the best small daypack for hiking that would also work for mountain biking. What I think I found was a cycling pack that works great for hiking. It’s the Osprey Raptor 14. 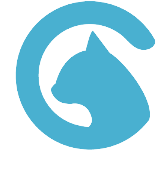 I’ve used it several times and am really impressed. Each time, it was fully loaded with water but never felt awkward on my back. I didn’t really notice it at all. The magnet on the bite valve is great for keeping the hose close at hand at all times. 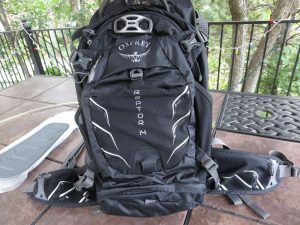 As the namesake indicates, the Osprey Raptor 14 is a 14L pack. For me, 14L is plenty of room for water, snacks, a light shell, and a long sleeve layer. Plus, with the beaver tail, you can easily and securely carry some gear on the outside of the pack. This increases the carrying capacity well beyond the stated 14L. The included reservoir is 3L which is pretty standard. This pack is really well designed. For example, the pack is contoured to match your back and is shaped to keep the weight low on your back. It also has a dense foam and mesh on the back to channel air to keep you from sweating too badly. There’s also a sturdy handle on the top for easy carrying when it’s not on your back. I also like the magnetic clip for the water hose. It sticks well and is always in front of you when you need it. The entire water compartment unzips, including hose routing, so you don’t have to stuff the hose through a small tunnel. 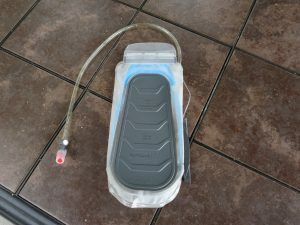 One other thing that’s unique for this hydration pack – the back plate on the reservoir. 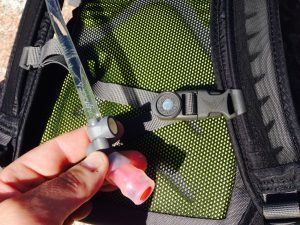 With my old Camelback, when I filled the reservoir and put it in the pack, it felt like a stiff cylinder between my shoulder blades. Only after you drank a good deal of water did the bladder feel more natural. Not with this daypack. The backplate on the bladder keeps the reservoir aligned and contoured to your back. It’s really nice and a big part of why the pack carries so well when full. A lot of the trails we hike are pretty steep and rocky and it’s nice to have a pack the sticks to your body when you’re hopping all over the place. The back plate on this reservoir keeps the bladder flat against your back. Not the best picture but you can see the wider waist belt which is super comfortable. There are loads of pockets to keep your gear organized and accessible. I’ve had a lot of daypacks over the years and none of them fit this well with so many features. I really like that this pack is small but not so small that I need to choose between critical gear to take and which to leave. I’ve included a quick summary below with the highlights. Also, I recently saw a great price for this pack at Amazon. If it’s full price when look, just wait a bit since likely to go on sale again. The bite valve is a little more complicated. It works very well, I’m just wondering about its durability. If you like this pack, please leave a comment to tell everyone why. If you have a different favorite pack, please say so – it’s always fun to check out new gear.